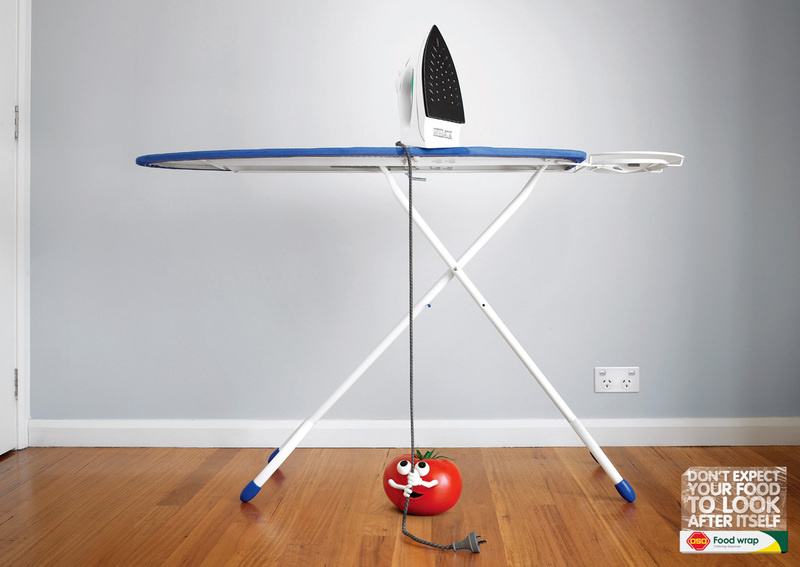 Don’t expect your food to look after itself. That’s the message in this series of near death experiences portrayed in a print advertising campaign for OSO Food Wrap from Clorox. A tomato is about to pull a hot iron onto itself. 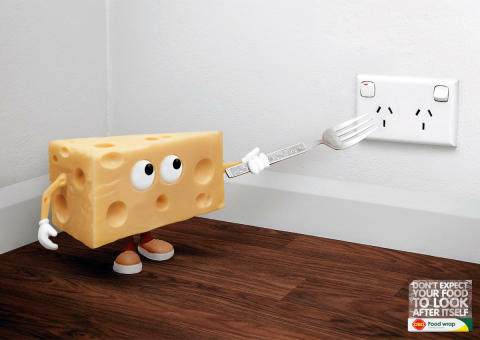 A piece of cheese is about to stick a fork into an electric socket. 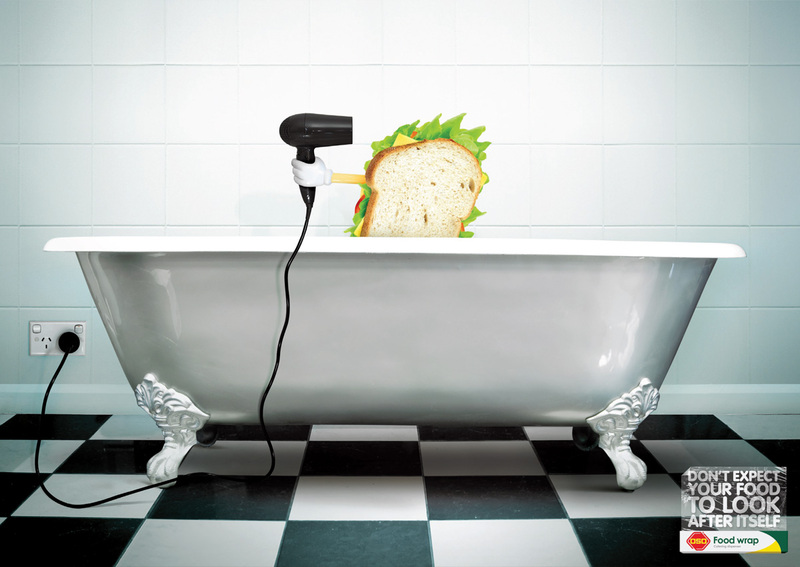 A sandwich is about to use a hairdryer in the bath. The OSO Near Death Experiences campaign was developed at DDB Sydney by executive creative director Matt Eastwood, art director Jakub Szymanski and copywriter Alex Stainton, with photographer Mat Baker, designers Jay Young and Erwin Santoso, and retoucher Dennis Monk.